The enlightenment never really ended, especially since we still base much of our thought on these concepts, but there were a few historical developments that caused people to sour on the idea after a time. One criticism was that once people started to question the status quo, they took this questioning too far for reason. After a while there were a number of fields that would arise that were not based on rational thought, but the desires of those that pushed for it. After a while it seemed people had become gullible, taking the ideas too far and believing hoaxes because they wanted to believe something new. In most cases these hoaxes were easily refuted but the regular people of the time lacked the fact checking capabilities to do this. Another issue was a wave of pseudo-scientific fields that became the laughing stock of real science. Among the most absurd were phrenologists, who believed that they could tell the nature and intelligence of people based on their skull contours, and physiognomy, which claimed they could do the same thing with facial and body features. The abundance of these types of fields in society led many people to doubt the intelligence of humans to deal with enlightenment ideas. 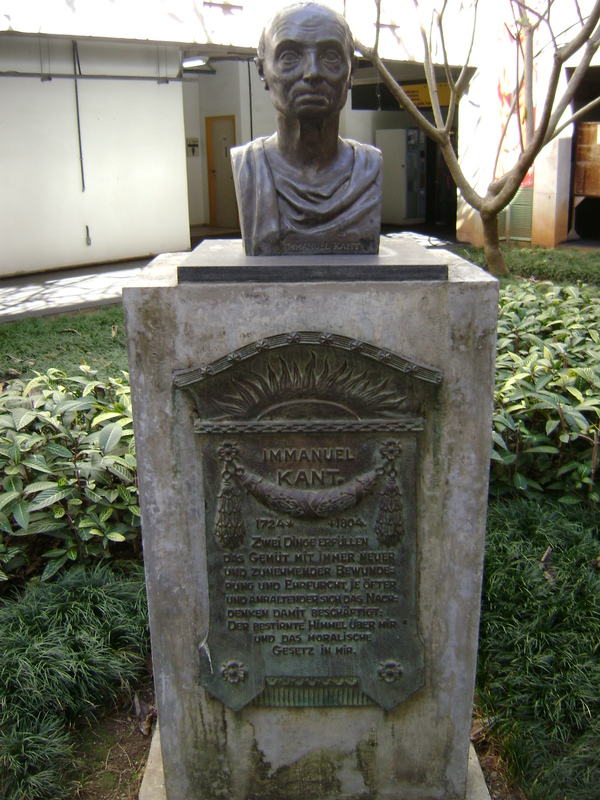 Immanuel Kant (1724-1804) would be considered the last of the major philosophers of the enlightenment, and probably coined the term itself. His theory was that taking the advice of others instead of developing your own ideas was immature, and that the enlightenment was a process by which people would leave their “self-imposed immaturity.” In his book Critique of Pure Reason (1781) he would develop the concept of transcendental idealism which stated that we can never really know the whole truth because we filter experiences through our own mind. Each person, therefore, interprets things they way they choose to based on their own personal choices. To him, reality was in the eyes of the beholder and evidence could not be trusted for that reason. In doing this he was taking skepticism to a whole new level, by critiquing the very concepts that the enlightenment was based on. When this belief became the new normal philosophical norm, people largely abandoned the ideas on the enlightenment thinkers before them. (especially Rousseau), it was horrifying to these intellectual men to see what would happen if regular people actually carried these thoughts out. The 1,000’s that would die by the guillotine during the Reign of Terror would be seen as proof to many that the masses could actually never truly govern themselves. Many scholars actually point to this moment as the official end of the enlightenment, which may well be true.